Top of the day to all the listeners out there! “Top of the day!”라고 인사를 하셨는데요, 자주 들어보지 못한 말인 것 같군요. 최고의 하루를 보내라는 의미로, “Top of the day!”라고 하는군요. My grandmother on my father’s side emigrated with her family from Ireland to the United States during the potato famine that was famous in Ireland. 리오라 선생님도 아일랜드계이군요. 아버지쪽의 할머니이니까 친할머니가 1840년대 아일랜드의 감자 기근을 피해서 미국으로 이민을 오셨다고요. 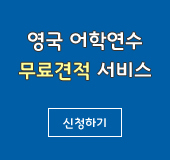 Great Famine, 즉 아일랜드의 대기근 이라고 1845년과 1852년 사이에 기근으로 백만 명 정도가 굶어죽었다고 합니다. Potato famine, 즉 감자 기근이라고 하는 이유는 감자 농사가 되지 않아 생겨난 기근이라는 의미이지요. 이 때 많은 사람들이 아일랜드를 떠났고요. 그 때 아일랜드에서 많은 사람들이 미국으로 건너와서 현재 미국에는 아일랜드인 후손들이 3500만 명 가량 살고 있다고 합니다. For those people that came from Ireland they celebrate sort of a holiday in March. It's a holiday to those folks from Ireland, and it's Saint Patrick's Day. 성 패트릭의 날, 애칭으로 ‘St. Patty’s Day’라고도 합니다. St. Patrick's Day is March 17th every year. St. Patrick's Day is celebrated on March 17th. There're a lot of things that go on on St. Patrick's Day. Of course the favorite color for Saint Patrick's Day is green. So, every thing centers around the green: green beer, green clothes. Everybody is trying to wear a green T-shirt with an Irish expression on it or just anything green. 그러고 보니 오늘 리오라 선생님은 녹색으로 치장을 하셨군요. 녹색 빛이 나는 목걸이하고 스웨터도 녹색이고요. Thank you for noticing my green colors today. My green necklace, and my green sweater and I have even green earrings on. So, I’m ready for St. Patrick’s Day. There's a sort of the tradition: if you don't wear green, then you're liable to be pinched. 초록색 옷을 입거나, 초록색 넥타이를 매거나, 초록색 목걸이를 하거나 초록색 모자를 쓰거나, 모두 ‘wear green’이라고 할 수 있습니다. If you're not wearing green on St. Patrick's Day, you will get pinched. Sometimes when people go into bars, taverns, or restaurants; they serve green beer. Sometimes you’ll see big trucks carrying the green beer. 아일랜드 사람들의 검소함에 대해서는 재미 있는 우스개소리가 있습니다. 어느날 영국사람, 스코틀랜드사람, 아일랜드 사람 셋이서 맥주집에 갔는데, 맥주 잔에 파리가 날아와 빠졌습니다. 영국사람은 안 마신다고 잔을 치웠고, 스코틀랜스 사람은 파리를 건져내고 먹었고, 아일랜드 사람은 파리를 잡고 파리에 묻은 맥주를 잔에 털어 넣은 다음 “SPIT IT OUT!” “뱉어 내! 뱉어 내!”하고 소리질렀다고 합니다. 리오라 선생님도 맥주잔에 파리가 빠지면 그렇게 하나요? I don't particularly like flies that much. But one of the things that people like to have to eat on St. Patrick's Day is a traditional Irish meal, and that's corn beef and cabbage. 여기서 ‘corn’, ‘corned’라는 말은 ‘소금에 절인’이라는 말입니다. 옥수수하고는 관계가 없습니다. That's usually cooked real slow so that it gets real tender. Corn beef and cabbage, and then usually boiled potatoes are served with that. 성 패트릭의 날 행사 중에 블라니 스톤에 입 맞추기와 같은 행사가 있더군요. ‘Blarney Stone’이라는 것은 아일랜드의 ‘블라니 성’에 있는 돌인데 여기에 입을 맞추면 ‘gift of the gab’ 즉 말을 잘하는 재주를 갖게 된다고 합니다. If you kiss the Blarney stone, you speak very fluently and speak well. And Irish people have the gift of speaking eloquently. 그래서 아일랜드 사람들이 말을 잘 하는군요. 지금까지 수백만 명이 이 돌에 입을 맞추었다고 합니다. And then, another thing that might take place on St. Patrick's Day is the Irish Day parade. 그리고 무엇보다도 성 패트릭의 날 길거리 행진이 볼만하지요. 보스턴, 뉴욕, 시카고 등 미국의 수 많은 도시에서는 성 패트릭의 날을 기념하는 길거리 행진이 있습니다. 저는 작년에 뉴욕 주의 Syracuse에서 성 패트릭의 날 길거리 행진을 봤는데요, 지금 백파이프를 연주하며 길거리 행진하는 소리가 들리시죠? 웰컴투아메리카, 오늘은 성 패트릭의 날의 풍습에 대해 이야기해봤습니다. 지금까지 저 박형권이었고요, Leora Andersen이 자리 함께 했습니다. 다음 주 이 시간에 다시 찾아뵐 때까지 건강하시고 행복한 한 주일 보내시길 바랍니다. 안녕히 계십시오. Bye everybody thanks for being with us today.